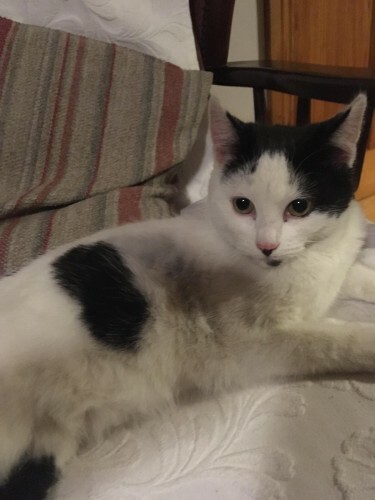 White and black young female found. Very recently spayed. Not chipped. Originally found in ballinacurra, then in Ballycotton. Could have travelled in a car as dirty.